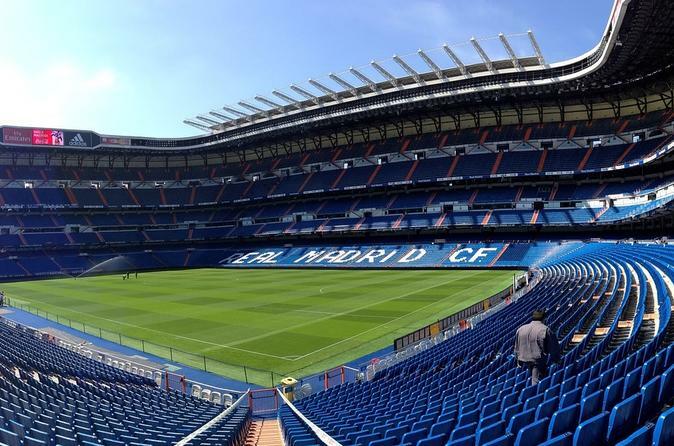 Enjoy a visit to the world famous Santiago Bernabeu Stadium and the Museum of Real Madrid. Your stadium tour will include visits to all parts of the ground, including the Real Madrid dressing room, the presidential box, the press room, the photo room, the trophy room and more. And complete your experience with our panoramic tour! Taste the most typical Spanish tapas while you enjoy the views of the most emblematic places of the city, always accompanied by explanations of an expert guide. You can first make the tour of the Santiago Bernabéu Stadium and then the panoramic tour in the Tapas Bus, or vice versa, as you prefer!